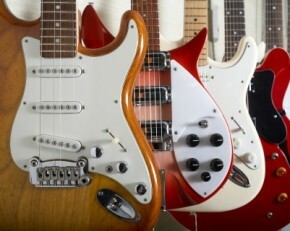 Gear Vault » Gear » Guitars » Is It Better To Buy New Guitar Gear or Used Guitar Gear? 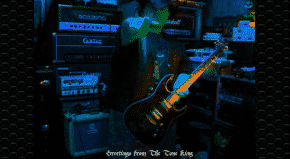 Buy guitar gear new vs. buying guitar gear used — If you are reading this, you are more than likely a gearhead. By ‘gearhead,’ I mean someone who spends more than a little time thinking about, learning about, and chasing down the musical equipment and accessories that capture your attention and becomes part of your sound, for better or worse. This state of being is what unites us as obsessive muso types, tone chasers, and all-around nut jobs, at least in the eyes of our wives. What is interesting to me is not that we chase all this gear around, but where we do it. 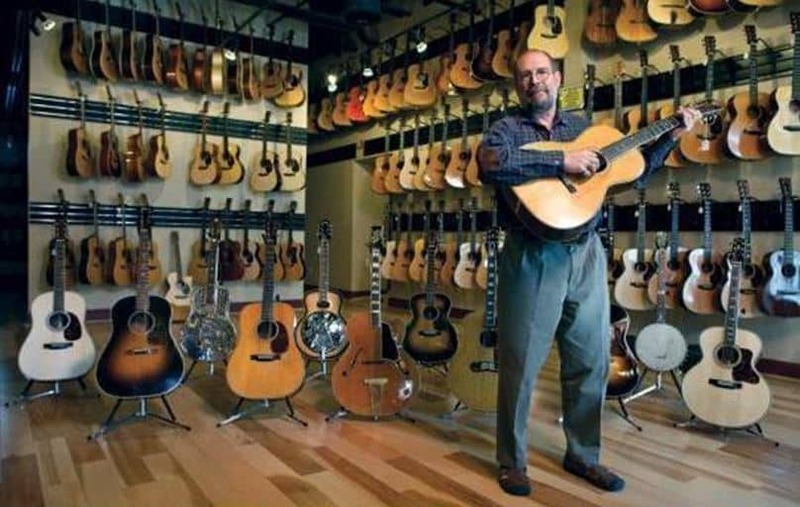 The question is this: is it better to buy brand new from your local guitar shop or online retailer or hunt the forums and classifieds in search of previously owned treasures that are now moving on down the line? Buying New Guitar Gear is Always Fun. There is something to be said about being the original and only owner of a new axe or guitar amp, filling out the warranty card, and knowing that your new squeeze has been touched by you and you, alone. 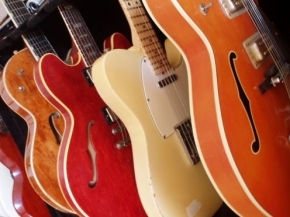 This is especially important with more high-end pieces, as nobody wants to pay big bucks for a worn-in item (unless you are buying a relic guitar, but that is a whole ‘nother discussion). All this newness comes with a price, however, and that is the actual price you will pay. Buying new will always cost you a bit more but some players feel it is worth it to get something pristine that comes with a warranty. 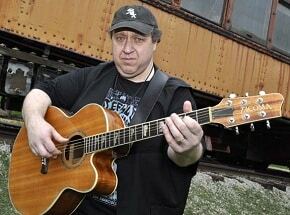 The tough economic times the world is going through currently is making many more folks look to the used market to satisfy their guitar jones. A great many people who bought very nice stuff brand new or from a vintage guitar dealer are now unloading that stuff at prices that can’t be beat. There are screaming deals seemingly everywhere and things that became very costly over the last few years of our good economy are now coming down in price. Vintage Super Reverbs, for example, used to command $2200-2500 with regularity. Now, my local Craigslist shows sellers trying to move them for $1500 and having no luck. Soon, they will be back down to the $600 my first Fender Blackface Super cost. Times are hard and all the things we love are luxury items. These things are the first to go up on the blocks if a job is lost or a pay cut is taken. This, combined with the thrill of the hunt, makes buying used the winner in this edition of Fight Club, at least for the time being. When things get better, sellers will once again be able to hold out for higher prices that are closer to what they paid new. For now, however, the classifieds are a much better choice than your local big-box music store. When buying gear, regardless if it is new or used, you should do your research. Watch video’s (like the one below) to hear tone samples and see hands-on reviews. 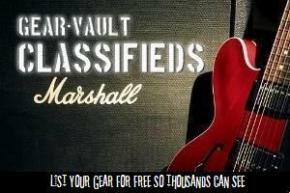 And read Gear-Vault guitar gear review database… we have 1,000’s of reviews! Now that you have a few things to think about, what do you prefer… new or used? Please leave your comment below. Gigging Basics – Back That Gear Up!! Don’t foget to mention that a used guitar can also come with factory issues fixed up. The best guitars I have bought ’til today, were the used ones. All the brand new guitars I’d bought had to go through heavy adjustments. Also, the guy that repair/ adjust my guitars and basses said once that the instrument wood gains better tones after time. These said, aside the lower price, I prefer to buy a used one than a brand new. For beginners, new gear is preferred. For old bird, go to used. It all depends.